Home > The Batman Strikes > The Batman meets Cal Ripken Jr! 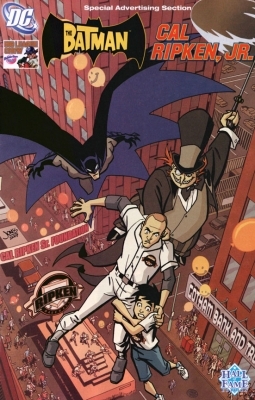 Cover Art for the Batman / Cal Ripken Junior custom comic for Big League Chew. Pencils and Inks by Christopher Jones. Album name: cajones / The Batman meets Cal Ripken Jr!